Ratnamani has a dedicated facility for the manufacturing of Stainless Steel Seamless Tubes. The facility is equipped with 1750 MT capacity of Water Hydraulic Hot Extrusion Press. The Hot Extrusion Press is the core strength of the Company enabling it to produce Mother Hollows with closer dimensional tolerances and good surface finish. Ratnamani is self-sufficient for manufacturing Mother Pipes with special chemistry. 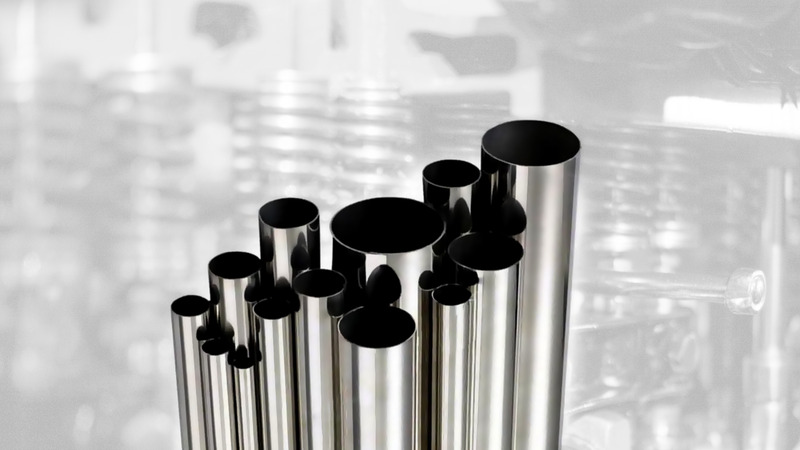 The Hot Extruded Mother Hollows are used for the manufacturing of Stainless Steel Seamless Heat Exchanger Tubes. The tubes are manufactured using High Speed Cold Pilger Mills and modern Draw Benches. The tubes are heat treated in Off-Line Bright Annealing / Conventional Annealing furnaces . Ratnamani has a dedicated facility to manufacture Tubes with developed lengths upto 40 meters in U bend Solution Annealed condition. Ratnamani manufactures Austenitic, Super Austenitic, Ferritic, Martensitic, Lean Duplex, Duplex and Super Duplex Stainless Steel Seamless Tubes. Heat Exchanger Tubes 10.00 MM to 76.00 MM OD 0.7 MM to 6.00 MM ASTM A 213, A 268, A269, A 270, A688,A 789,EN 10216-5 U-Tubes as per Customer's Drawing. Tubes can also be supplied as per AFNOR, GOST, JIS, EN specification.